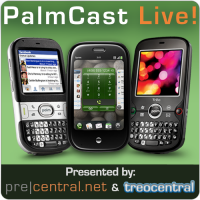 PalmCast Live lands on your screens tonight at 8pm Eastern, 5pm Pacific. Turns out that there was a little buyout that happened and we have some strong feelings about it all, plus two weeks of Palm news, bits, and bobs to chat up. So come join us right here, won't you?